Mega Sale! 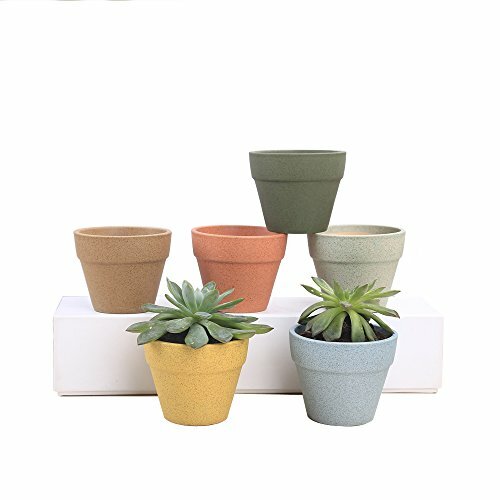 Save 29% on the Senjie Succulent Planter,Indoor Small Mini Ceramic Plant Pots with Drainage for Cactus Set of 6 by Senjie at Tulips Orchids. MPN: sj-pt-01. Hurry! Limited time offer. Offer valid only while supplies last. These pots are perfect in size. They are not too small nor are they too big. They fit most of the typical succulents，Importantly,these pots have drainage holes on the bottom. The design is also very simple,The pots will fit well on windowsill,coffee table,living room anywhere you place them,they can sun for a few hours a day. Very versatile and pretty set. Can be a nice gift. Well packaged,Very strong and good quality ceramic,they're well finished and look like they'll last.